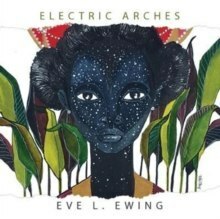 Electric Arches is an imaginative exploration of Black girlhood and womanhood through poetry, visual art, and narrative prose. Blending stark realism with the surreal and fantastic, Ewing's narrative takes us from the streets of 1990s Chicago to an unspecified future, navigating the boundaries of space, time, and reality. Ewing imagines familiar figures in magical circumstances - Koko Taylor is a tall-tale hero; LeBron James travels through time and encounters his teenage self. Electric Arches invites conversations about race, gender, the city, identity, and the joy and pain of growing up.